appearing: the text is doubled! See attached image file. I am using the latest version available: build 2114 of March 15, 2011. Visual Studio's own painting, for instance. Not enough info, anyway. This is happening every time I use VS 2010 and it started some R# versions ago. feature off, everything works just OK.
After rebooting my PC, VS 2010 is now working. 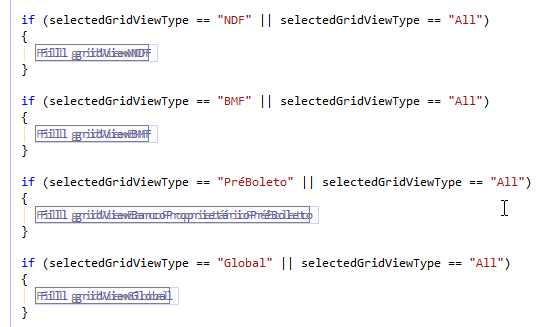 I have checked the problem with the lastest R# 6.0 build and it is still occurring. Please see attached image. Which other programs ou plugins could be interferring with R# and causing such a problem? In the previous version of R# it did nor happen and no new product or addin was added to my computer for a long time (since before this problem appered). That is why I deduced the bug is in your product. still occurring. Please see attached image. directive also replaced with a line on this screenshot. 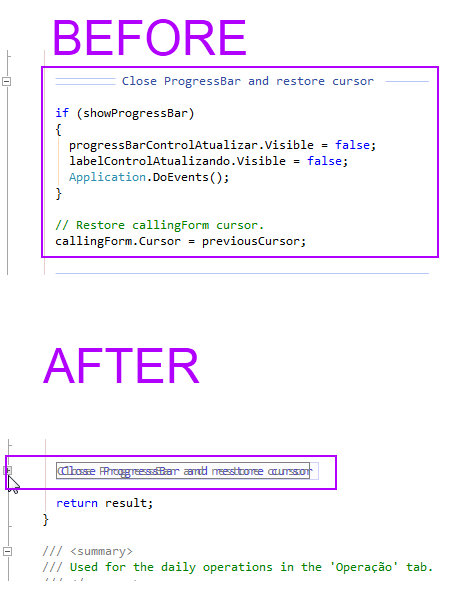 to Visual Studio. And neither of these effects is provided by R#. that stranger extension providing fancy lines around the #region. just disabling) then we might know the one to provide the nonstandard painting. problem appered). That is why I deduced the bug is in your product. Might be a side-effect of R# presence, but I still don't have any clue. 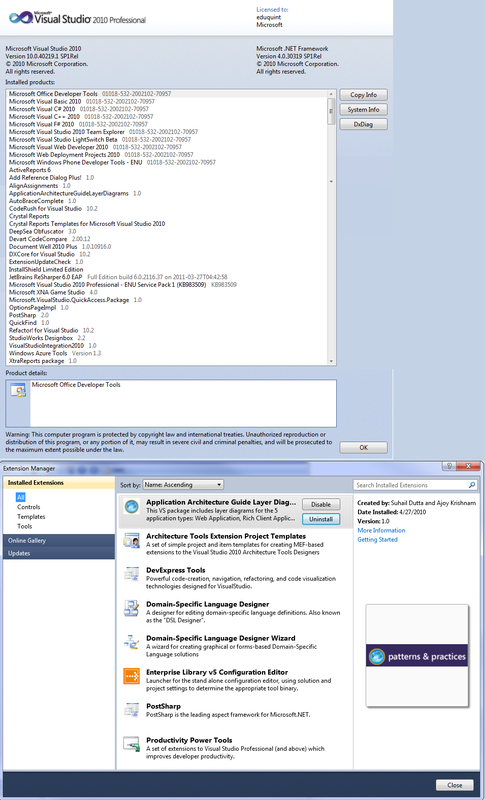 Please find attached a composite image with all that is installed in my VS2010. Oh, that's quite a number of extensions! I'd hand this list to QA and they'd probably figure something out ... somewhen. text editor. That's the thing to test R# for compatibility with.